We are 101 civil rights, education, religious, faculty and student organizations deeply concerned about the harmful impact of the academic boycott of Israel on U.S. students and faculty. 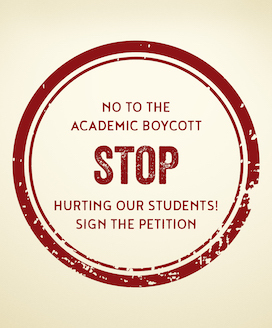 We are writing to urge you to sign the University Leaders Statement Against the Implementation of an Academic Boycott of Israel, accessible below or at this link. Following the American Studies Association’s adoption of a resolution endorsing a boycott of Israeli universities in 2013, leaders of 250 U.S. colleges and universities, including your own, issued statements opposing the ASA resolution. 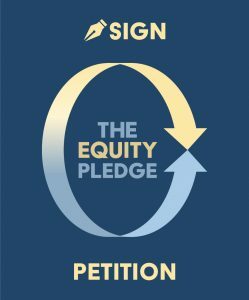 However, in light of recent reprehensible attempts by faculty at University of Michigan, Pitzer College and elsewhere to implement an academic boycott that thwarts their own students’ academic freedom and their own colleagues’ scholarly activities, it is imperative that university leaders speak out once again, this time even more forcefully. The statement below acknowledges that implementation of the academic boycott of Israel subverts the scholarly and educational opportunities and curtails the academic freedom of students and faculty on U.S. campuses, and it condemns such behavior in the strongest possible terms. Please let us know if we can add your name to the growing list of university leaders across the country who have endorsed this statement.